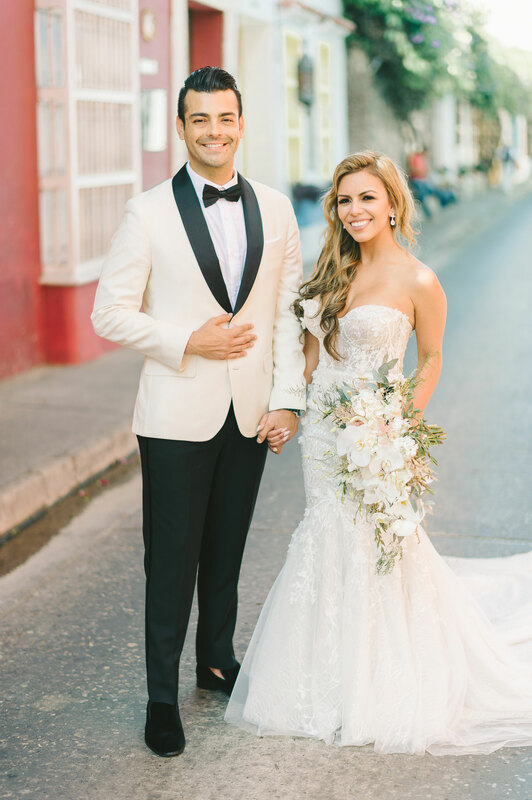 These real brides may convince you to go with this more-relaxed look. Once you've selected your wedding dress and accessories, it's time to start thinking about how you'll wear your hair for the ceremony and reception. 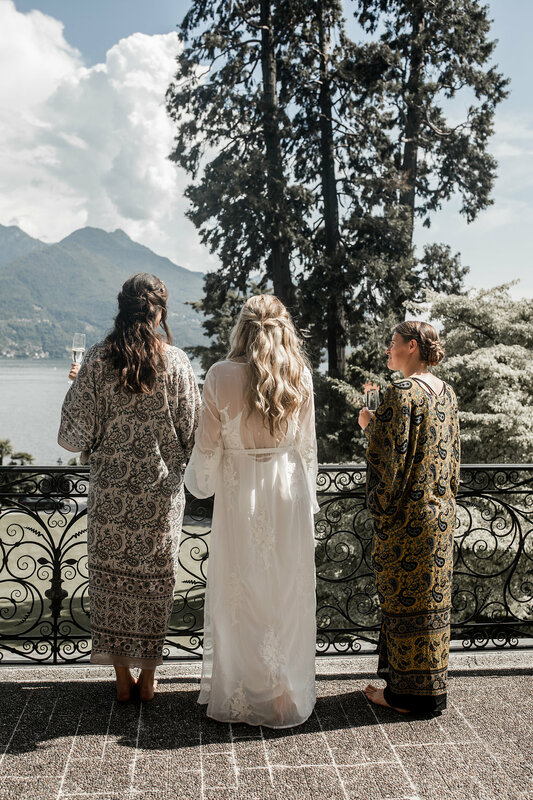 While many brides choose to don romantic updos, classic low chignons, or boho-chic braided 'dos, we've seen a rise in popularity for wearing your hair down at the wedding. Choosing to don long locks for the celebration doesn't mean your look needs to be laid-back. Wearing your hair down can be perfect for a backyard garden soirée or even a formal city fête – it's all in the styling. Some brides decide to wear their tresses in loose waves, tight curls, or even mostly straight with a slight curl to add some visual interest. Looser curls can be fitting for a boho-chic celebration, while more structured curls are ideal for a formal event. If you're worried about your hair getting in your face throughout the night, pull a few strands back and secure with a sparkling headpiece or even a few hidden bobby pins. Some brides even have their hairstylist on call to transition their look from ceremony to reception! 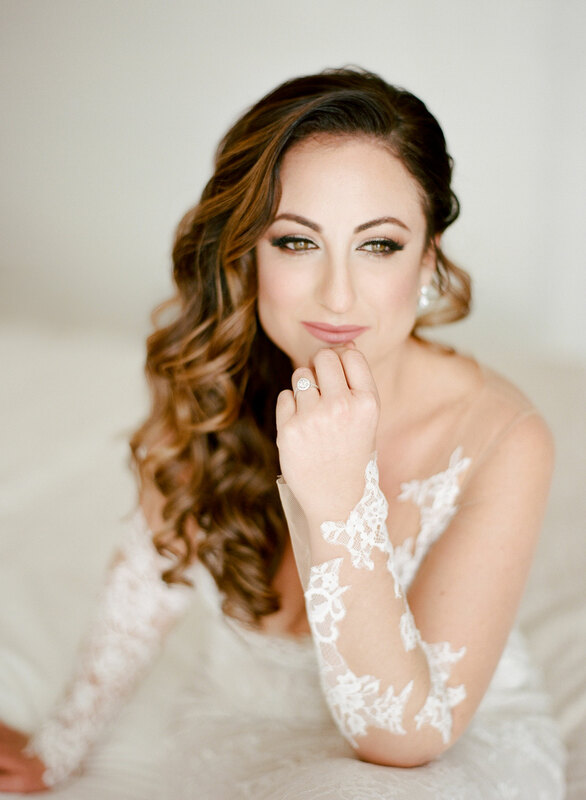 Whether you want to look reminiscent of Old Hollywood or stay true to a glam version of your everyday hairstyle, be sure to speak with your hairstylist during your trial to ensure you'll be thrilled with your look on the day of the nuptials – as well as the photos for years to come. 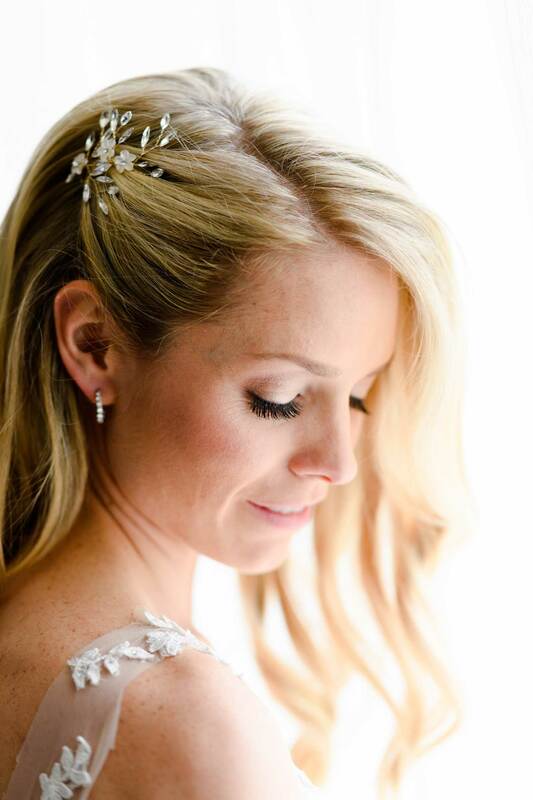 Take a look at 15 real brides who wore their hair down for wedding beauty inspiration, below! 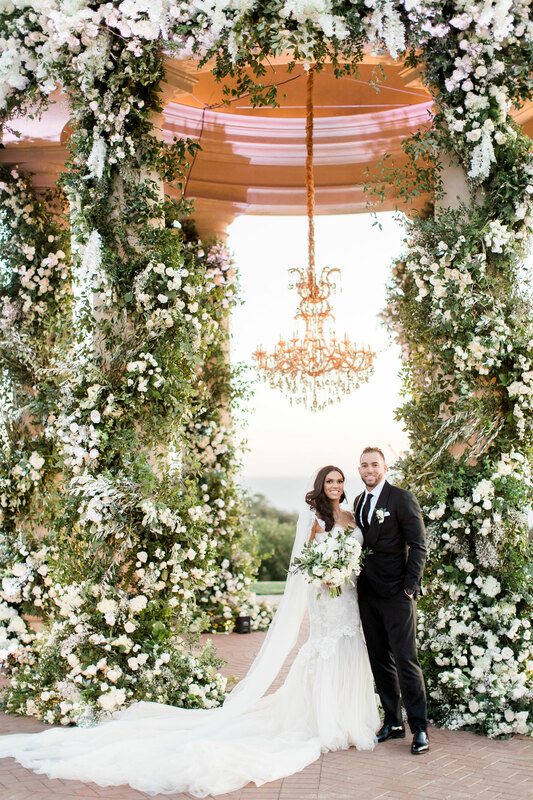 To see more from these gorgeous weddings, click each photo! Photo by Joe Buissink Photography; Floral Design by White Lilac Inc.
For more ideas and advice, discover the secret to having long, healthy hair on your wedding day, view pretty wedding hairstyles for brides with long hair, and gather more hair and makeup advice here.